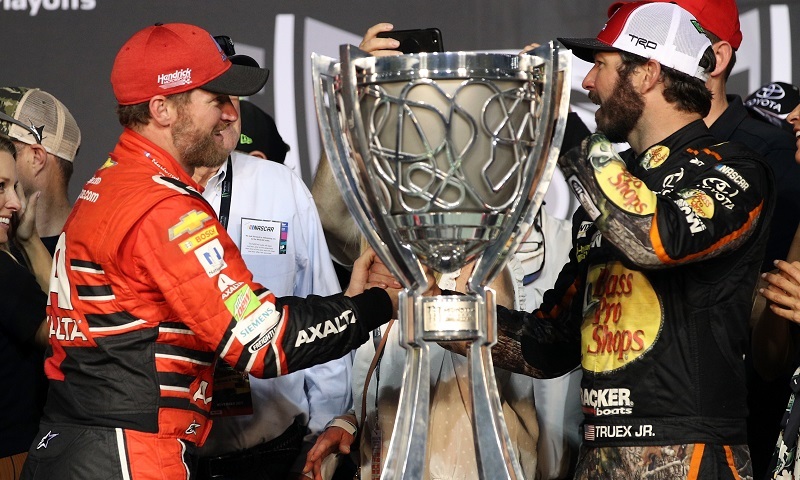 MOORESVILLE, N.C. — After a thrilling triple-header that saw three champions crowned and intensity around every turn, Race Chaser Online’s Motorsports Madness recaps Ford Championship Weekend and hears from all three titlists tonight at 7 p.m. ET on the Performance Motorsports Network. Interviews from Martin Truex Jr., William Byron and Christopher Bell will all be featured during the two-hour program, as Race Chaser Online co-hosts Jacob Seelman, Rence Brown, James Pike and Cisco Scaramuzza break down the road to the title for all three drivers and look back on the careers of outgoing veterans Dale Earnhardt Jr. and Matt Kenseth. An emotional interview with Earnhardt will also appear during the program after his final Monster Energy NASCAR Cup Series start, as national dirt track racing analyst Steven Ovens — who was in Miami for the weekend festivities — returns to the broadcast to help reflect on the aura of the weekend and what’s next for the sport as a whole.